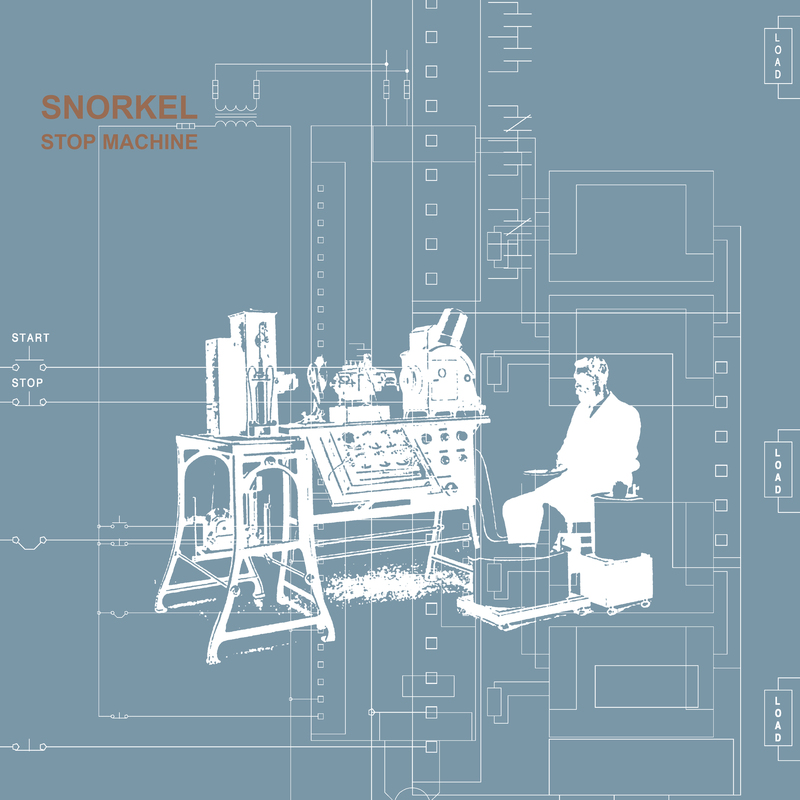 After a year of experimenting in their South East London studio, Snorkel have remerged focused and energized holding in its hands a brilliant new record. ‘Stop Machine’ recalls the improvised off kilter performances of their acclaimed first album 'Glass Darkly' and delivers a compact, robust and energetic route through post-funk, dub, electronica, krautrock and sonic art. Improvisation continues to be at the core of their strategy, from the agitated post-industrial experiments of ‘Driller’ and ‘Edgar’s Hoover’ to the aquatic drift of ‘Jellyfish’. A more compositional approach is evident in the swaggering and elastic grooves of ‘Stop Machine’ and ‘Loophole’, the slippery mood of ‘Wet Tongue’, and the dreamlike tension and release of ‘Dead Skin’, which incorporates the shadowy rhymed musings of eccentric soulster Charles Stuart. Players on the record include drummer/producer Frank Byng [Crackle, Spring Tides, Barry Adamson], Ben Cowen [7-Hurtz, Crackle], Charles Stuart [Grace Jones, The Fish Police], Tom Marriott [Pest] and artist/producer 129, with additional contributions from guitarist Lucas Suarez, Robert Logan and Ralph Cumbers [AKA Bass Clef].